OUR EASY 30 DAYS “RISK FREE” REFUND AND RETURN POLICY. At FineJewelers.com, we want you to be absolutely satisfied with your purchase. Our very easy “no questions asked” 30 days return policy, allows you to return for any reason any order, and get your choice of a full refund or exchange within 30 days from the date of shipment. 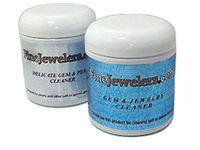 Our free jewelry cleaner is available on all mounted jewelry purchases. Copyright© 1998 - 2012 Finejewelers.com, Inc.